On the occasion, Ahmed Mahboob Musabih, Director of Dubai Customs congratulated Dubai Customs’ staff for this international achievement … reports Asian Lite News. 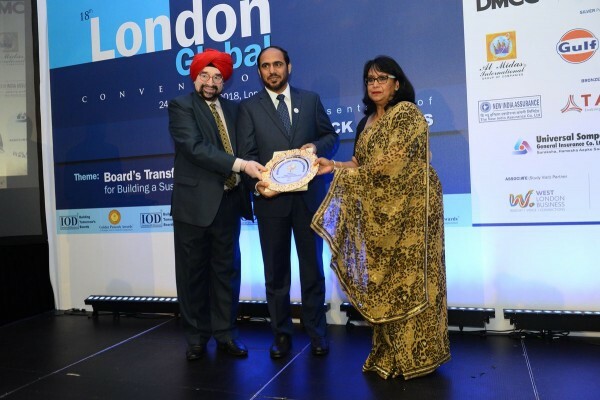 Dubai Customs won the international CSR Golden Peacock Award in its 4th cycle 2018 for the 4th year in a row, in recognition of its distinctive efforts in supporting sustainability around the globe. 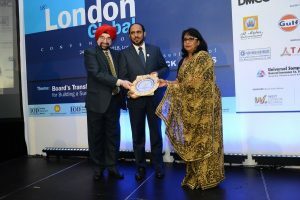 Khalil Saqer bin Gharib, Director of Corporate Communication Department, received the award in London from Baroness Verma, Global Chairperson, Advisory Council, Institute of Directors, India and Chairperson, European External Affairs Committee, in the presence of retired Lieutenant General J. S. Ahluwalia, President, Institute of Directors. On the occasion, Ahmed Mahboob Musabih, Director of Dubai Customs congratulated Dubai Customs’ staff for this international achievement. “This is a result of our relentless efforts to support sustainability in corporate social responsibility, not only at a local level but worldwide. We are always inspired and guided by the wise vision of His Highness Sheikh Mohammed bin Rashid Al Maktoum, Vice President, Prime Minister and Ruler of Dubai, and as an application to the social requirements of the UAE Vision 2021 and Dubai Plan 2021,” Musabih said. “Our sustainability and social responsibility initiatives have attained world recognition and attention. We are keen to follow the best practices in the field,” he added. In his speech at a session on the future of sustainability in the event, Bin Gharib pointed out that Dubai is turning into a world-class example of good sustainability. Dubai Customs has launched 106 social responsibility initiatives between January and September and the number is expected to reach 125 initiatives by the end of the year in line with the values the Year of Zayed holds, he said. In the last three years, Dubai Customs has launched more than 600 initiatives and won 35 local, regional and international awards in social responsibility and sustainability. Dubai Customs is the first and only customs department to release a sustainability report that meets the GRI standards and criteria.